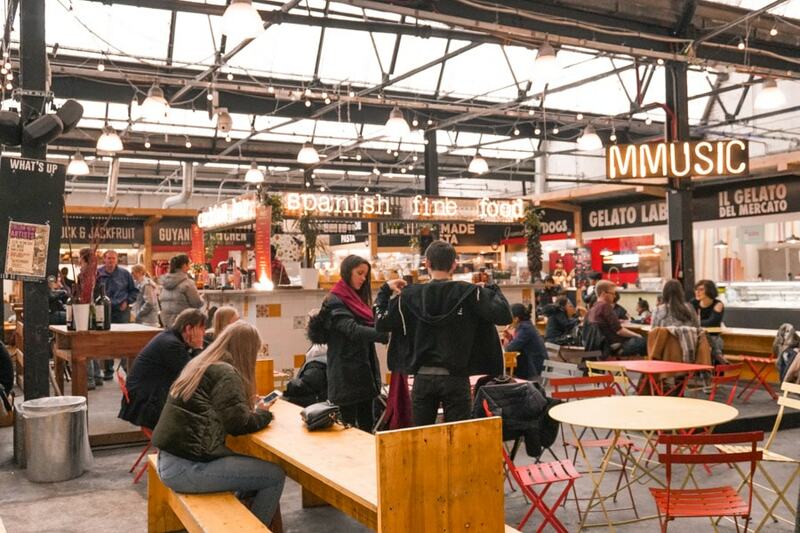 Mercato Metropolitano is the Elephant & Castle food market that has taken London by storm. This is what you need to know before you go. Mercato Metropolitano has been around for a couple of years now and guess what? It’s still as awesome as ever. An old paper factory in Elephant & Castle transformed into one of London’s best street food markets? It sounds too good to be true. Well. It isn’t. I’ve written the guide to prove it. Did I Mention That Mercado Metropolitano has its own Cinema? Mercato Metropolitano is spread out over a mind-boggling 45,000 square feet – and packed with stellar food and drink. So you can imagine how tough it is to pick a few faves. The solution? Go enough times you can pick your own. In the meantime, here are my go-to Mercato Metropolitano food spots. 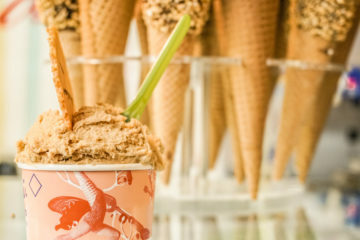 Go for: The best gelato in London. Looking for some of the best ice cream in London? Badiani will sort you right out. I wasn’t going to have an ice cream – after feasting on a few dishes and trying a couple of wines, I thought I’d had enough. Until I saw the tubs, filled with glistening gelato of more flavours than I’d ever conceived. Obviously I bought one (coffee) and it was stellar. Creamy, rich and not too sweet. Worth the trip alone. I’ve long been a fan of Champagne & Fromage’s Brixton outpost – the name says it all really. Forget boring old Moet & Chandon or Bolly, this is the place to go to try Champagnes from smaller (ahem better) producers, preferably with one of their heavenly dishes based around lots of gooey melted cheese. 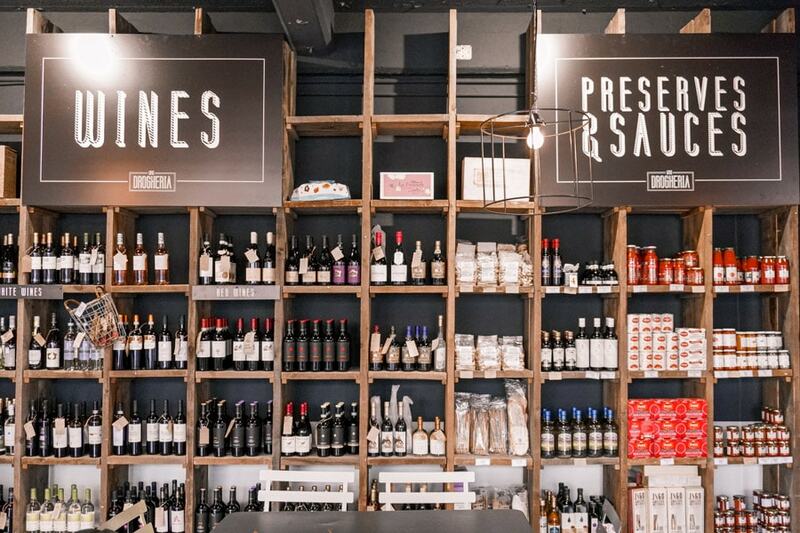 The deli is another one of Mercato Metropolitano’s big draws. Brimming with artisan ingredients, it’s almost impossible to come out without a purchase or two in tow. I bought some coffee from local producer & roaster Volcano Coffee Works, which has been perfectly fuelling my week and getting me started each morning. The deli counter features a range of Italian cheeses, cured meats, fresh pastas and ready meals – a few of which I may also have purchased (purely for research purposes obviously). Go for: Kebabs that put pretty much every other kebab in London to shame. 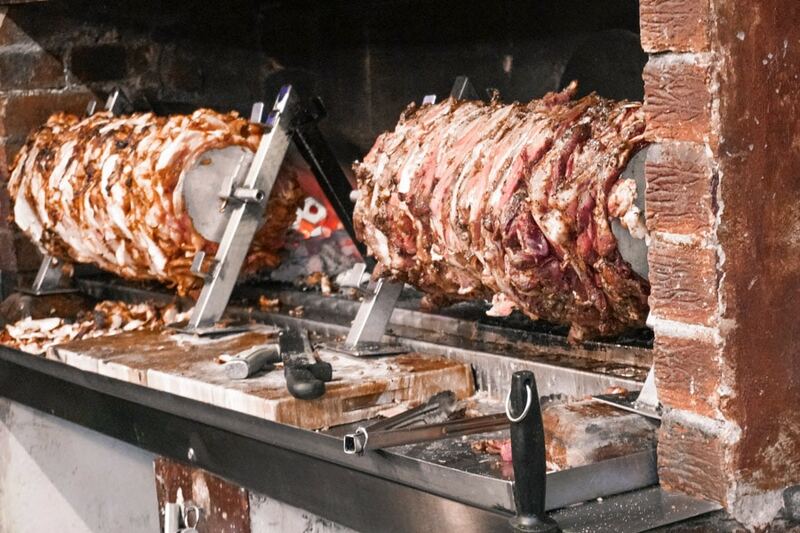 Forget what you know about kebabs – or at least those dreary concoctions of sweaty meat accompanied by limp salad and flavourless dressings purchased at 2am when you’re a little worse for wear. Duman Doner’s kebab wraps and salads are a thing of absolute culinary genius. Turns out that tender meat, oozing with flavour and umami is the big difference. Have it in a wrap or opt for the salad, either way, it is no surprise it’s been voted as one of the best spots for Turkish food in London. 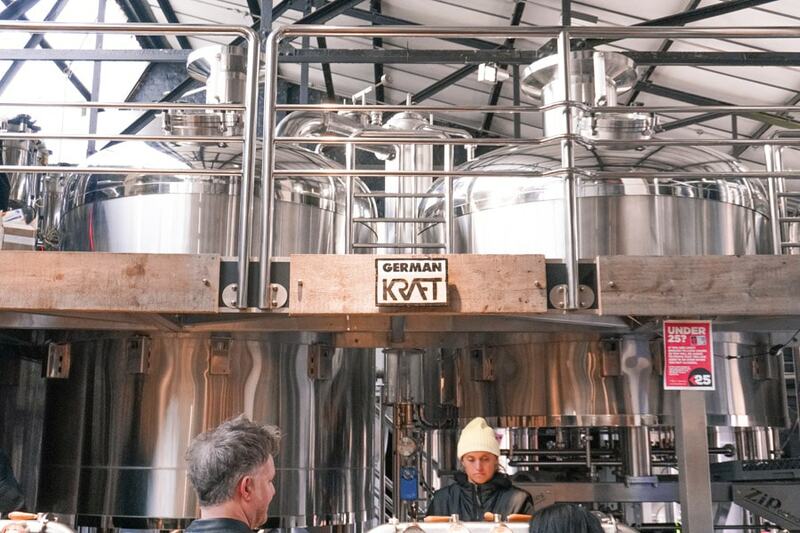 Bavarian style beers are the name of the game at German Kraft. That means beer crafted from the purest water, no additives and made from traditional German hops and malts. The end result? A distinct (and very drinkable) range of beers that stands out, even in today’s crowded craft beer scene. Those are just the start. A whip around one of the main halls sees Guyanese, Italian, Colombian, Japanese, fish and hot dog stalls and more, each with a delicious array of dishes to tempt you. There are just as many (if not more) stalls in the second hall too. Choice is certainly not an issue on any visit to Mercato Metropolitano. What the hell isn’t going on is probably a better question. In addition to the cinema screenings, MM hosts a calendar of cool workshops, talks and markets. Upcoming workshops include how to make your own zero waste beauty products, pasta making and unconventional wine tasting with small wineries. Check the full calendar here. Each month the talented folks at Crafty Fox Market bring a whole load of cool products from independent makers to Mercato Metropolitano. The line up changes each month but expect lots of quirky products that put Ikea to shame. Yes, you heard me right – a cinema. The Moving Pictures cinema shows a range of up-and-coming indie flicks as well as some of the bigger blockbusters. Oh and there are special screenings of festive flicks around Christmas too – pass me the eggnog and mince pies. So, what is Mercato Metropolitano? Mercato Metropolitano is a buzzing street food market and social enterprise in Elephant & Castle promoting sustainability and the importance of great quality food. 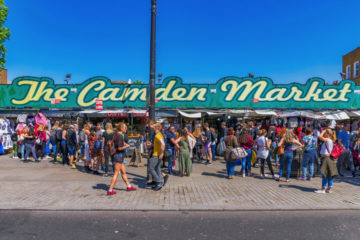 You could be forgiven for thinking that this is just another street food market (albeit a very cool one with brilliant food) but it’s so much more. Mercato Metropolitano was created to bring a sense of community and passion for food into the space, something that can feel pretty rare in London these days. That’s why the focus is on small scale producers, farmers and vendors. I, for one, am totally here for that and judging from the popularity of the space, so are a hell of a lot of other people too. When did Mercato Metropolitano Open? 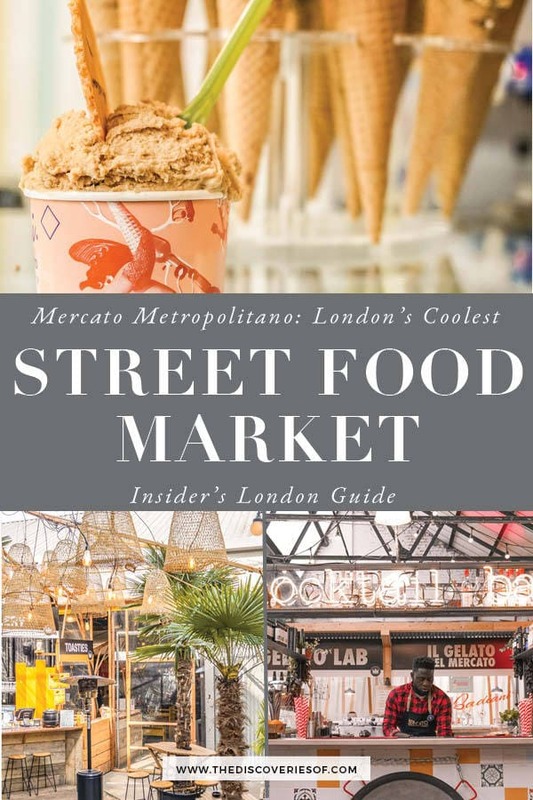 Mercato Metropolitano opened in London in 2016 and has been going strong ever since. How do I get to Mercato Metropolitano? 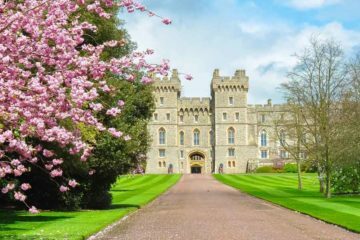 The nearest tube stations are Borough and Elephant & Castle, which are about 5 mins away. 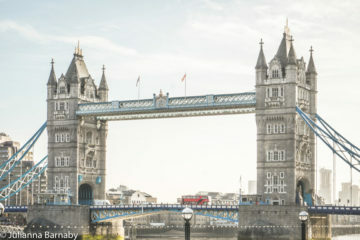 Lambeth North & London Bridge are also within walking distance (10-15 mins). Elephant & Castle and London Bridge are the nearest train stations to Mercato Metropolitano. 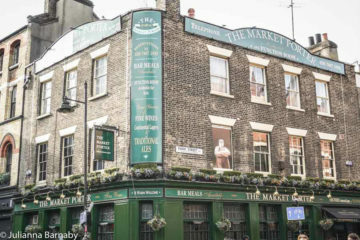 Click here for a map with MM’s location.